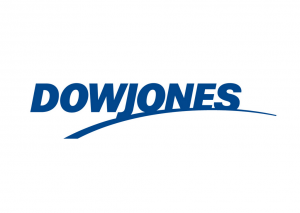 It appears that yesterday’s rebound wasn’t enough for investors to shake Monday’s jitters, as the S&P 500 (SNPINDEX:GSPC) and the narrower, price-weighted Dow Jones Industrial Average (DJINDICES:DJI) fell 1.4% and 0.9%, respectively. Mirroring these ups and downs, the VIX, Wall Street’s fear gauge, has been on a roller-coaster ride this week; today, it gained 18% to close at 16.51. (The VIX is calculated from S&P 500 option prices and reflects investor expectations for stock market volatility over the coming 30 days.) Some investors are betting the index will continue to rise, with CNBC reporting that VIX call option buying has reached its highest level since Jan. 20120. Yesterday, the Financial Times reported that the fall in the price of gold has cost high-profile hedge fund manager John Paulson at least $1.5 billion personally this year. No need to shed tears over his fate — when you reach a point at which you can lose $1.5 billion of your wealth, it’s unlikely you will ever end up clipping coupons. Still, this reversal of fortune contains some interesting lessons for ordinary investors. John Paulson joined the elite of the hedge fund world — investors who notch up single-year personal gains in the hundreds of millions or billions of dollars — during the housing crisis with a stunning contrarian bet against the subprime market. That trade netted him and his investors tens of billions of dollars. Once an unknown arbitrageur who bet on the completion of corporate takeovers, Paulson vaulted to prominence. The financial media (including me) began to track his holdings and his views on markets and the economy; investors flocked to his funds, wanting to invest alongside this new Midas. As his assets under management topped $30 billion, Paulson was forced to stray from his initial circle of competency of merger arbitrage, with concentrated, directional bets on stocks and gold, ultimately becoming the largest shareholder in the SPDR Gold Trust (ETF) (NYSEMKT:GLD). Let me be clear: Paulson & Co.’s initial success was no fluke. Anyone who has read Gregory Zuckerman’s account of Paulson’s short trade against subprime knows it was superbly researched and constructed, and it took extraordinary conviction to execute. However, one does not improvise oneself into becoming a global macro investor; it requires a specific skill set and a lot of experience. Whether or not you’re a billionaire, if you want to avoid stinging losses, the same lessons apply: Avoid excessively concentrated positions and stick to your area of expertise. At The Motley Fool, we never forget our core competency is identifying great businesses and the right price to pay for them. The Motley Fool’s chief investment officer has selected his No. 1 stock for this year. Find out which stock it is in the brand-new free report: “The Motley Fool’s Top Stock for 2013.” Just click here to access the report and find out the name of this under-the-radar company. The article How the World’s Smartest Investor Lost His Way originally appeared on Fool.com and is written by Alex Dumortier, CFA. Fool contributor Alex Dumortier, CFA, has no position in any stocks mentioned; you can follow him on LinkedIn. The Motley Fool has no position in any of the stocks mentioned.